Engine not working. Need Help. I have a engine that stopped running and looking for help or advice. 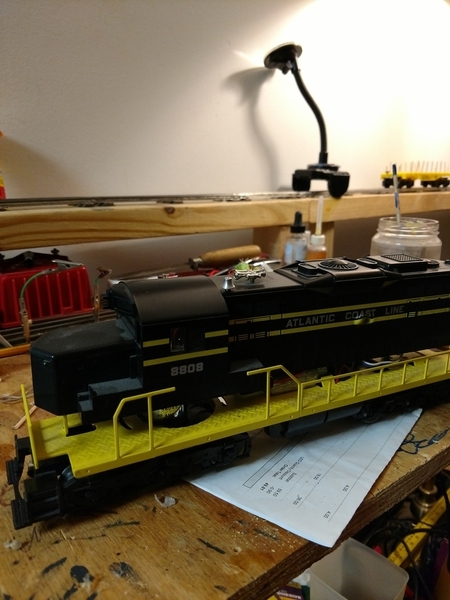 It is a Lionel SD 18 I believe came out in the late 90's. It was running good then it just stopped running. I smelled an electrical smell coming from the inside. When I took the engine off the tracks, I noticed that the power wheels would not turn. I put it on the track again and noticed everything was working except the motor. It has a cam motor in power unit. Does Lionel sell the motor by itself or would I have to buy the whole unit as motor and truck? I'm trying to fix it myself to see if I can do it. Who would have these to buy? It would help if you could post the product number,it will start with a 6-xxxxx. Are you sure it's the motor? Check to see if there's power at the motor. It may be the electronic e-unit that you smell. The product number is 6-18808. I tested the power to the engine and came up with 0 on the meter. Looks like you could be right and it being the electric E unit. Is there another way to test the E Unit to see if that is the problem? Would I be able to get one from a parts dealer? Disconnect the 'E' unit wires from the motor. Apply power to the loco, and check for DC voltage at the wires. Cycle the transformer on and off a few times to see if the unit cycles. If there is no voltage, make sure there is AC voltage at the board input, usually the heavy red and black wires. The parts list for the locomotive is here, and the board, #13 on the list, is 610-0107-100, available from The Train Tender. 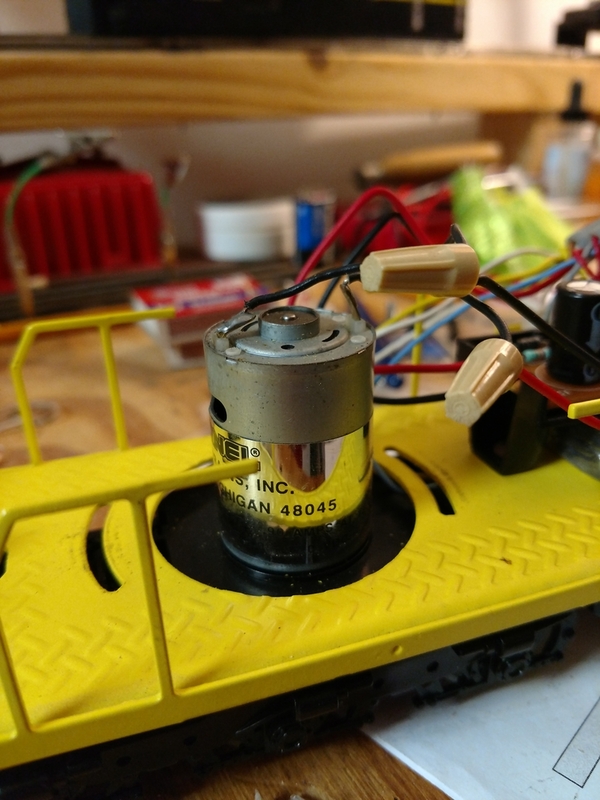 Can DC voltage be applied directly to the motor from a separate power source to see if it spins up ? If yes, how much ? Thanks Guys I will try this.